Warren Buffett and Bill Gates have both founded highly profitable companies so it’s safe to say that they’ve made quite a few smart business decisions. In an on success with students at the University of Washington’s business school, the two billionaires, according to CNBC, pinpoint the best business decisions they’ve ever made. Buffett says that his best business decision was simply starting a career in investing because he enjoys what he does. Luckily, says Buffett, this has worked out well for him. Alluding to his own experiences as an investor, Buffett says that when these opportunities arise, you must act quickly. There’s no time to be “reading a book on the theory of diversification,” he says. For Gates, the best business decision he’s made revolves around choosing the right people. “Deciding to go into partnership with [Microsoft co-founder] Paul Allen is probably at the top of the list,” he says. 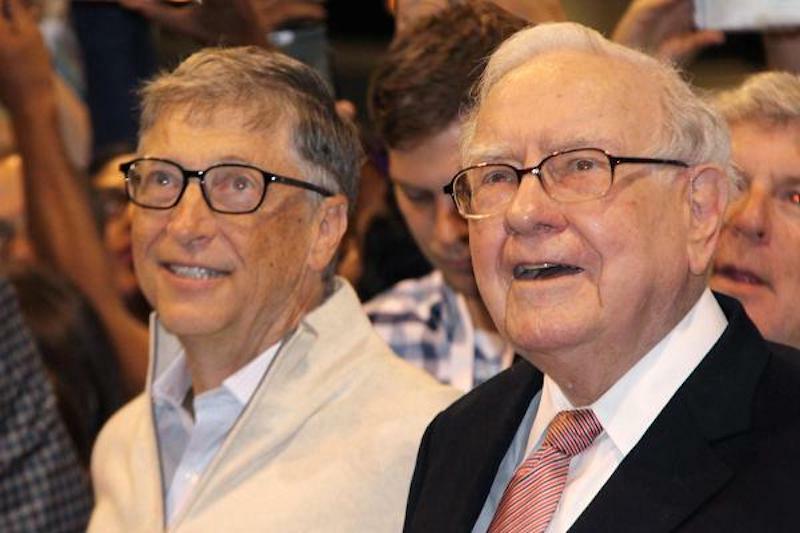 Bill Gates and Warren Buffett at the Annual Berkshire Hathaway Shareholder’s Meeting in Omaha, NE on May 6, 2017. Buffett adds that Charlie Munger, the vice chairman of Buffett’s investment firm Berkshire Hathaway, has also been that type of dependable partner to him over the years.